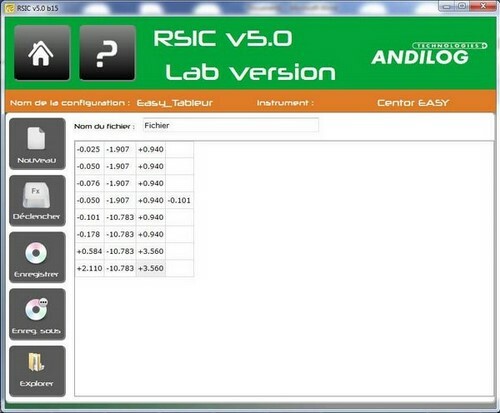 RSIC LAB software allows users the ability to transfer measurement data from the ANDILOG’s measurement device to a computer. Recorded data are on text or standard spreadsheet Excel format. Our engineers understand that many test applications require easy storing, traceability and simple processing of all your data. RSIC Lab software is used for these exact purposes. 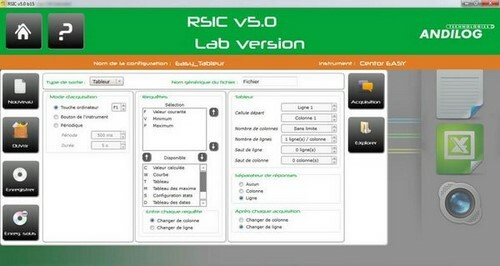 With its new and friendly user interface, RSIC LAB is simple and powerful software. 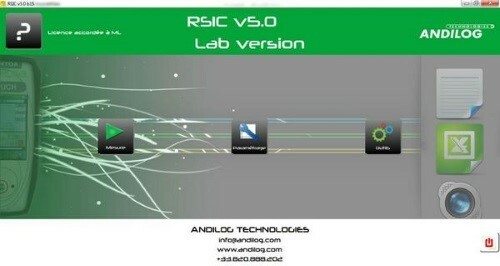 With its extended capability, RSIC LAB offers the possibility to program sequence of collected data; by simply pressing a key on your device or your computer. Collects maximum, minimum, curve and tare your device at one goes, and be ready to perform your next measurement.